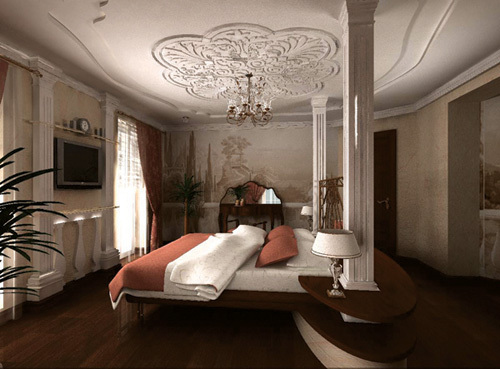 Master bedroom is an old fashioned name wich persists in the face of changing times because it has always described the most important bedroom in a house. The name master bedroom, conjures up impressions of large houses, big windows, a system of bell signals in the party. Actually it is just what the name implies, the room where the owners of those responsible for a home sleep. The decoration of this room gets very mixed up in personal preferences of two people. You don’t have to spend a lot to make your bedroom feel impressive. You can create a unique bedroom with good lighting, a DIY headboard, hanging bedside lights instead of table lights and use of different textiles. 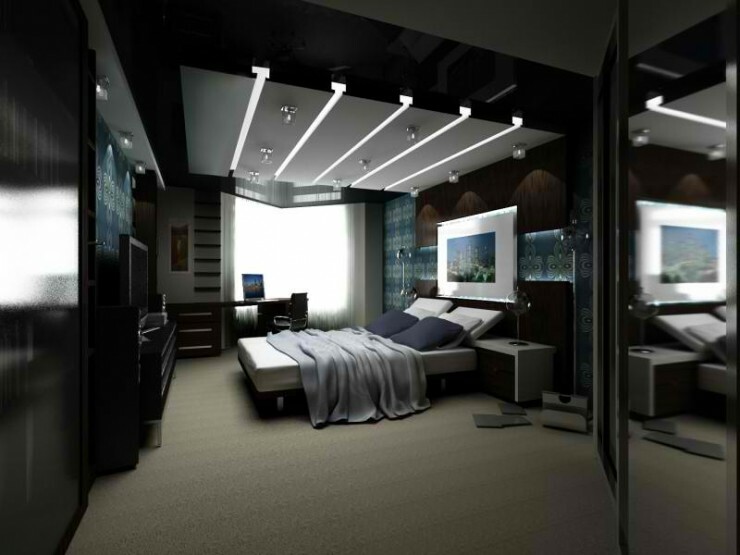 Check out this collection of 10 dream master bedroom decorating ideas. Master bedroom design by Urbanspace Interiors. The master bedroom was kept light, open and airy to maximize the wonderful size of it, but we still wanted to have those pops of cheerful color like in the rest of the condo. The palette was created from the Golran Carpet Reloaded Rugs, which the homeowner fell in love with. The red patchwork is very strong, so we counterbalanced it with grey for the Molteni & C Glove bed, and cream for most of the Missoni Home bedding, although the coverlet and shams have embroidered threads of teal, purple, brown and grey. We matched the teal rug perfectly with the 3 euro pillows, and connected back to the red, teal and purple with the small accent pillow. The red Moroso Fjord Chair and painting by Kevin Greer tie everything together. And because I think all rooms need a small pop of black, the Artemide Tizio lamp paired with the De La Espada Mushroom side table balance perfectly with the De La Espada Tulip Lamp in black and gold…the perfect touch of a little glam. 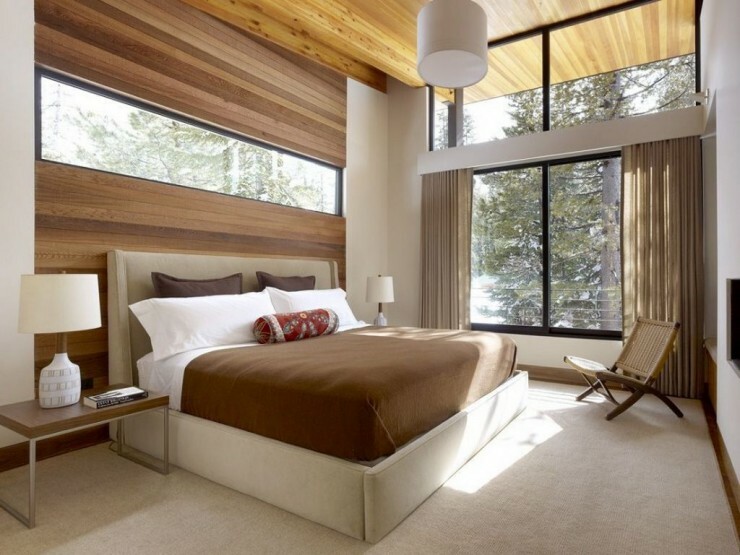 Modern master bedroom with mountain view in the Sugar Bowl Residence designed by John Maniscalco Architecture. 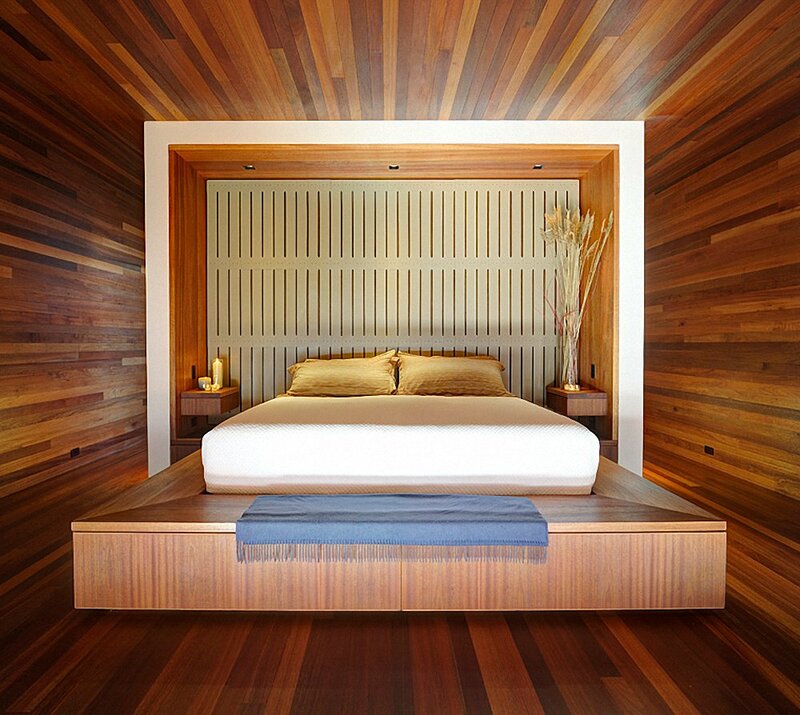 Impressive master bedroom designed by Bates Masi Architects. Contemporary bedroom with dressers as bedside tables for more storage by Dayna Katlin Interiors. Glamorous Master Bedroom in Hollywood Regency Style by Peg Berens Interior Design. Another great master bedroom designed by pro-mia. Classical landscape mural painted on the walls give the room more visual perspective and depth of field. 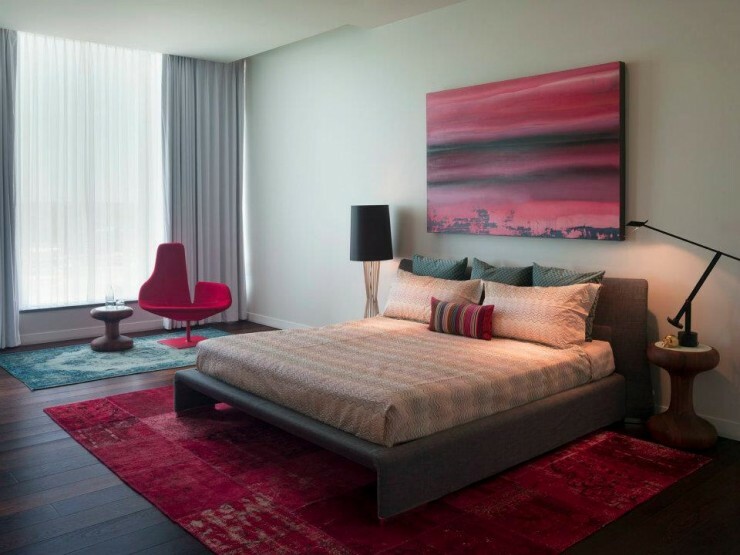 The master bedroom in New York Duplex Penthouse on Hudson River Near Battery Park by Interieurs Design Studio. 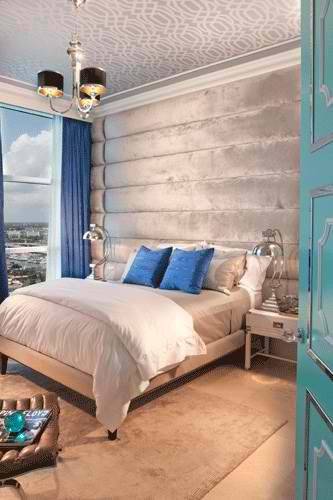 Use of rich textiles such as velvets and silks in this beautiful bedroom designd by DKOR Interiors. Love the last bed! It reminds me of something you would only see in movies!